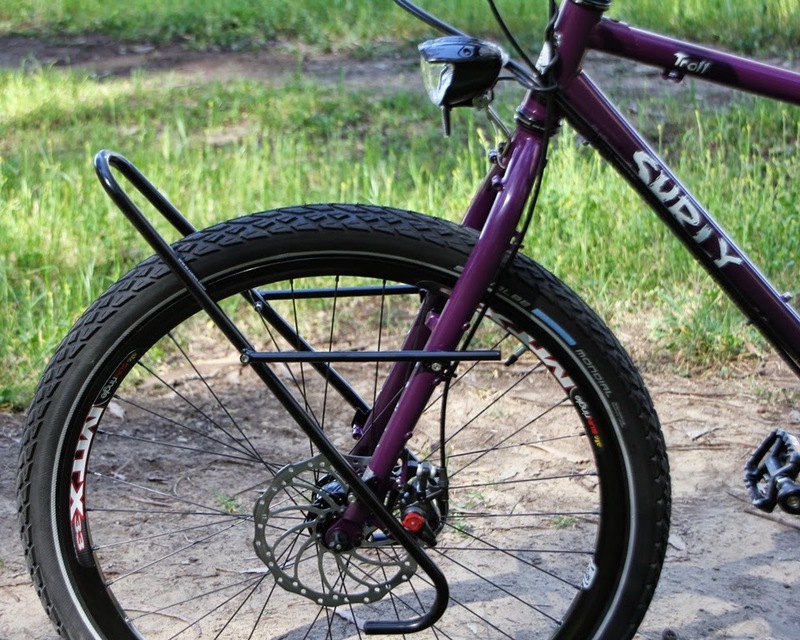 The best selling Tubus lowrider has been improving over the last years, and is well known as the indestructible burro. 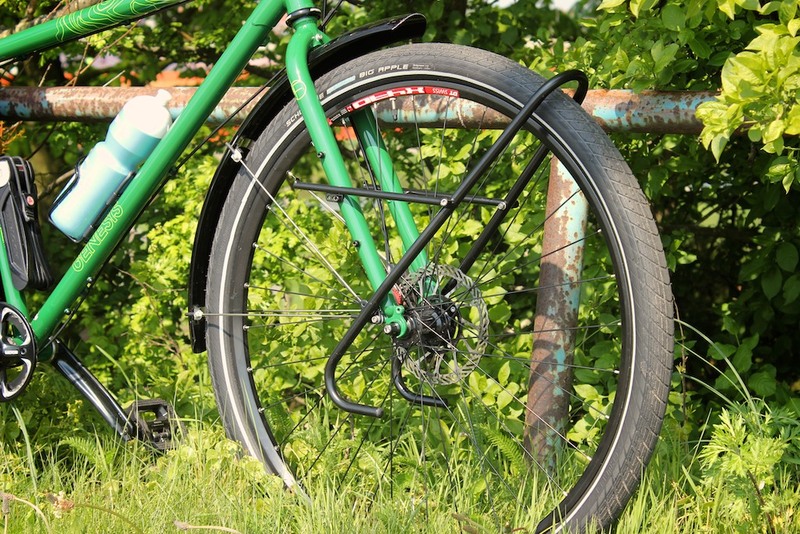 The Tara is the strongest lowrider in the Tubus product line. The 14mm tube cross-section offers high rigidity. Furthermore it features long holes for higher flexibility. Maximum load is 15kg. A lowrider in combination with a rear carrier improves riding characteristics and is needed on long travels for a homogeneous load balance. 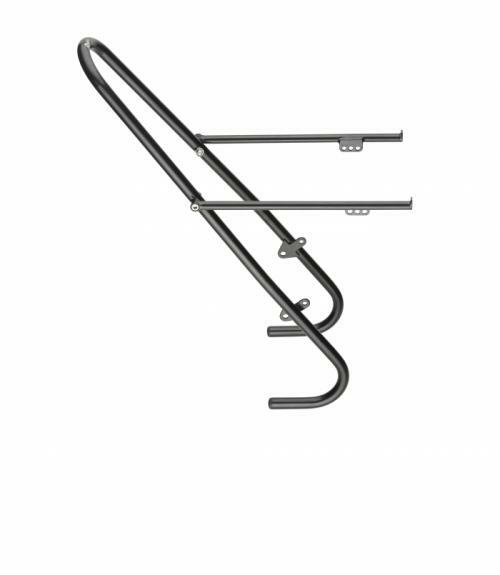 With its adjustable side arms and the different mounting holes the Tara Big Apple can easily be mounted on nearly every fork bikes with a pipe diameter of 14 mm. 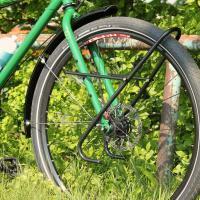 The Tara has separate fixing eyelets for fender struts. 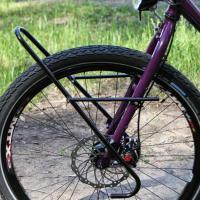 Attention: The lowrider is compatible with forks having an eyelet on the lower end of the fork-blades. The eyelet diameter has to be at least 5mm or an M5 thread. If your fork has no eyelets in the mid-section of the fork-blade, you will need the Tubus LM-1 set for standard forks or LM-BF for bigforks. You will find a dimension drawing (german comments) within the "Attachments" tab. Μέγεθος Τροχού Wheel size: unisize 26"/28"